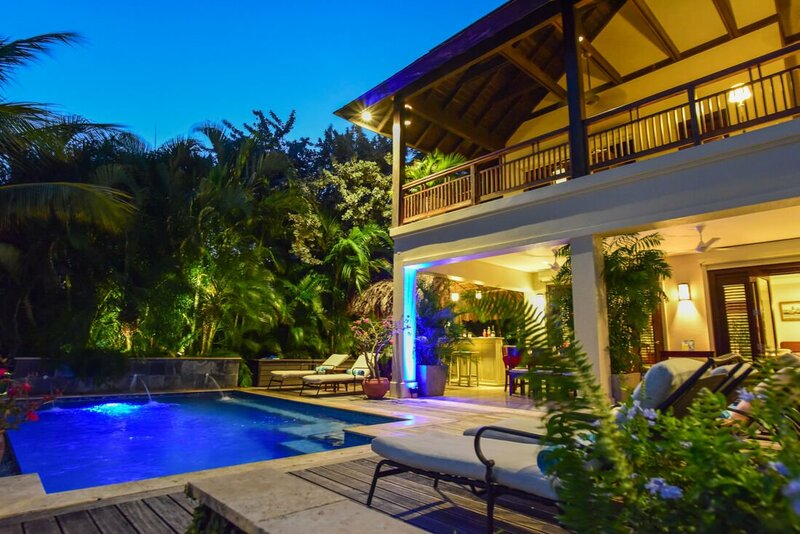 Jamaica Villa on the beach, Brand new waterfront villa, own private beach and infinity edge swimming pool. 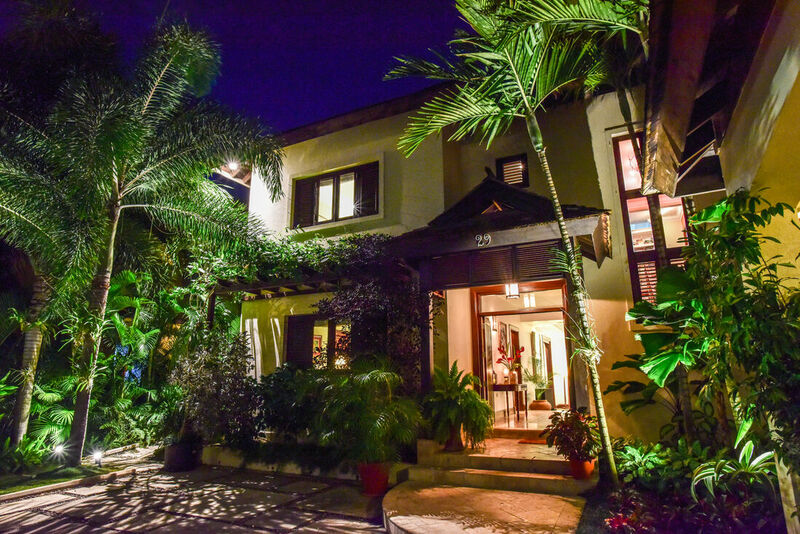 The community has 24 hour security, 2 tennis courts with tennis pro, large main pool and gym. 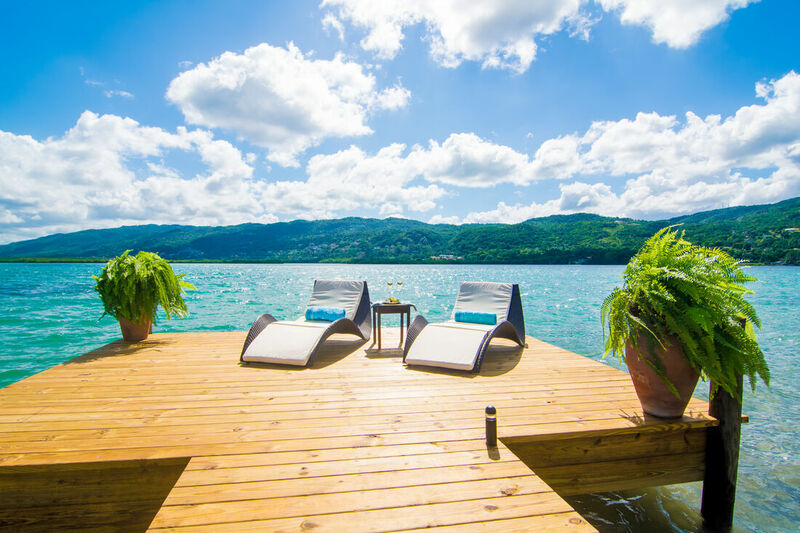 A Beach Villa in is one of the most beautiful beachfront brand new luxury villas Jamaica, with a private white sand beach, a spectacular view and a luxuriant infinity edge swimming pool. 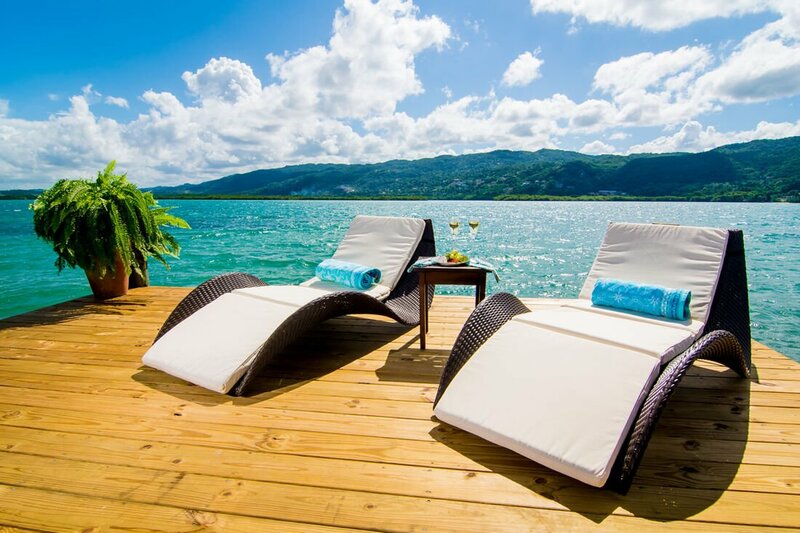 A Beach Villa is located in the fabulous Lagoons, an upscale Montego Bay community that is only at a 10-minute drive to the Airport. 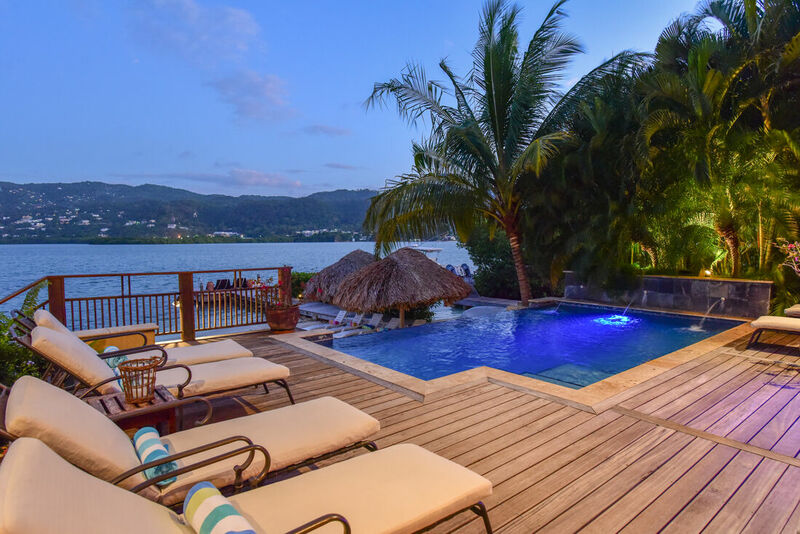 The Lagoons is an exclusive community with 24 hour security, a large gym, main pool and 2 tennis courts with tennis pro. 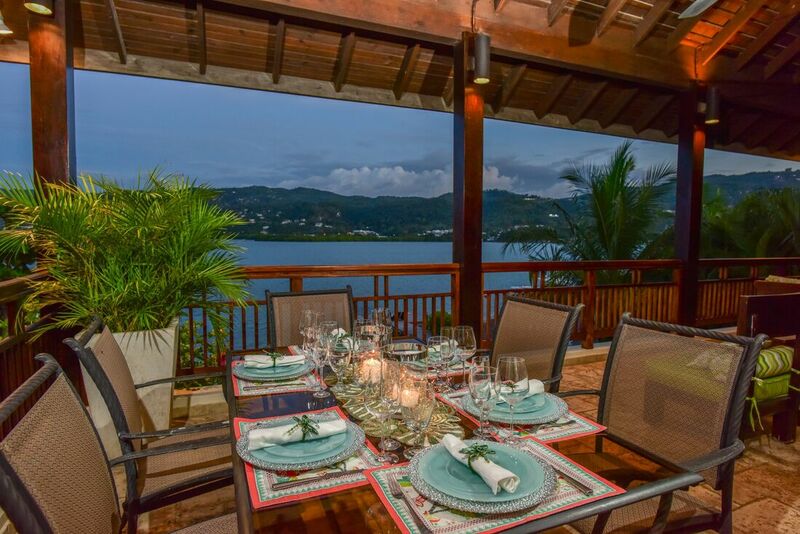 Sitting on a narrow peninsula, the Lagoons is surrounded by the ocean on either side. 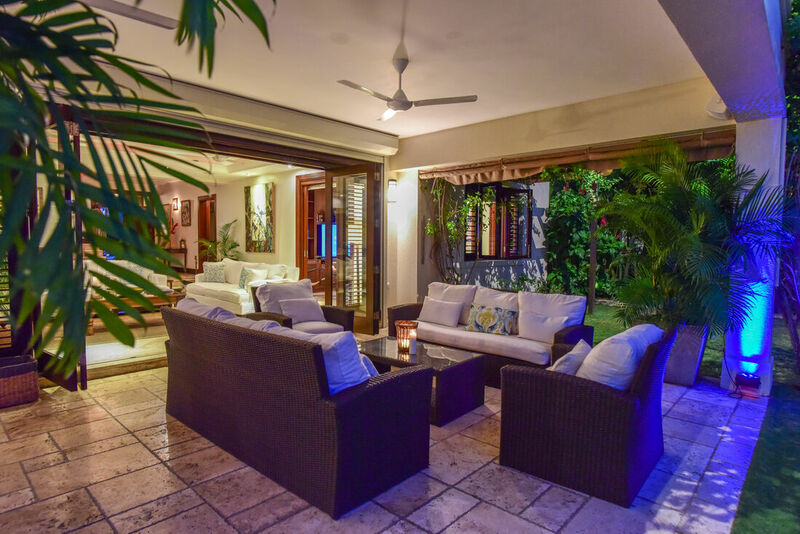 The attractiveness of the A Beach Villa in Montego Bay, a prime beachfront property is further enhanced by the deluxe fittings and furnishings. 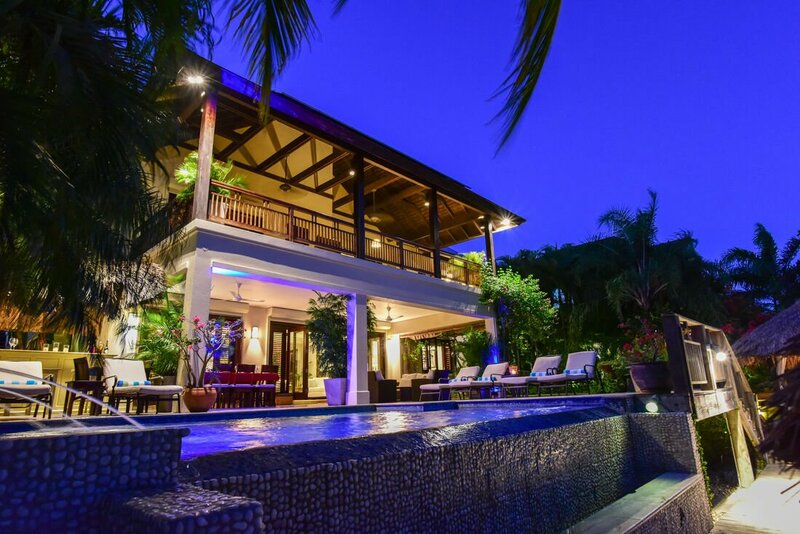 This villa is equipped with the latest extravagant amenities including an Apple iPad controlled home automation system, a Beach Cabana including outdoor lounge mattresses, a solar water heater, a patio Tikki bar, snorkeling equipment, two new Kayaks, upgraded room linens and drapes, internet radio, computer and WIFI, built-in stereo, a vast CD and DVD collection and flat screen televisions in the bedrooms. 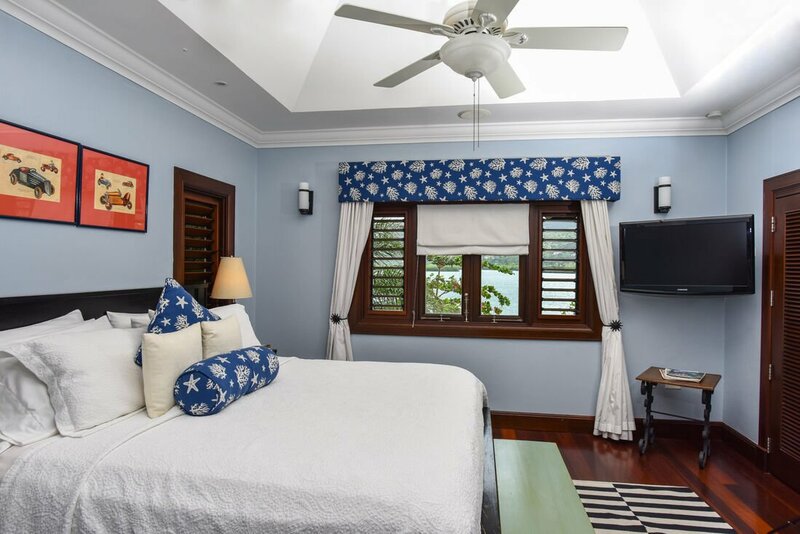 The four bedroom villa has en-suite bathrooms and provides a picturesque view of the ocean from each room. One bedroom is on the ground floor, while the remaining three are on the first floor. 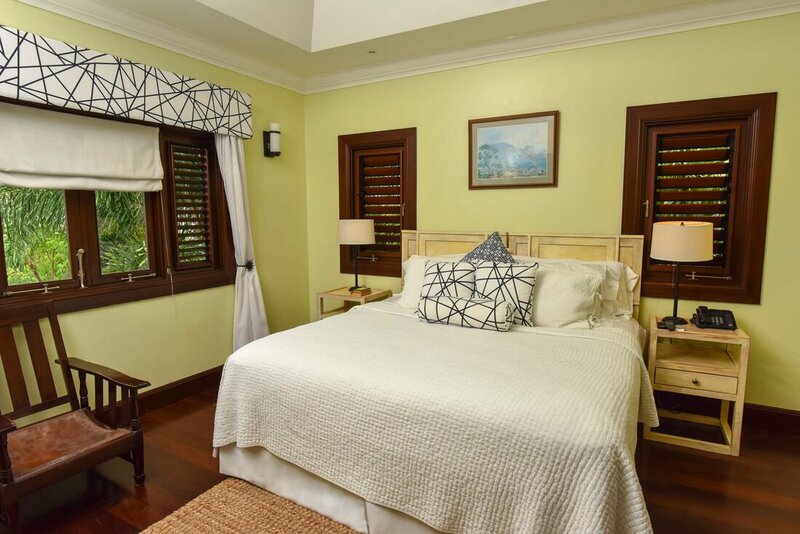 All three rooms on the first floor have classic Teak hardwood floors, 37’ HD LCD screens and split air conditioning. 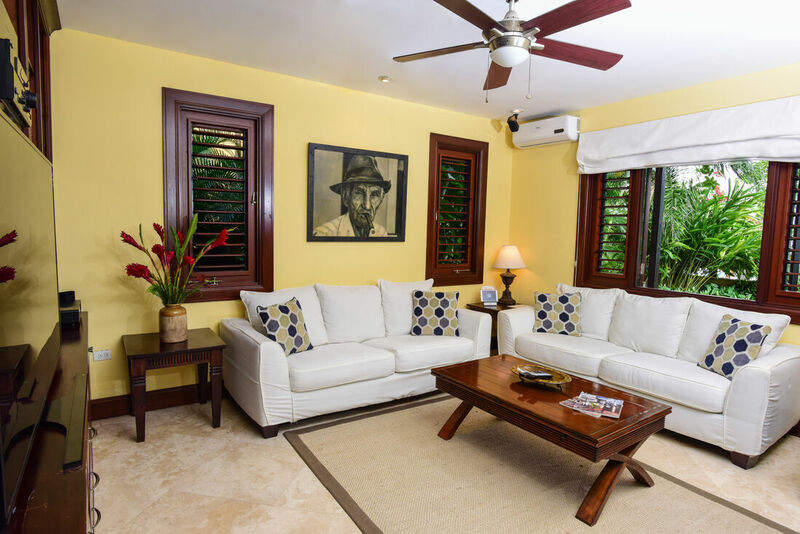 Authentic Jamaican antiques, elegant new pieces and original artwork give the villa a beautiful aura, making it unique among luxury villas Jamaica. 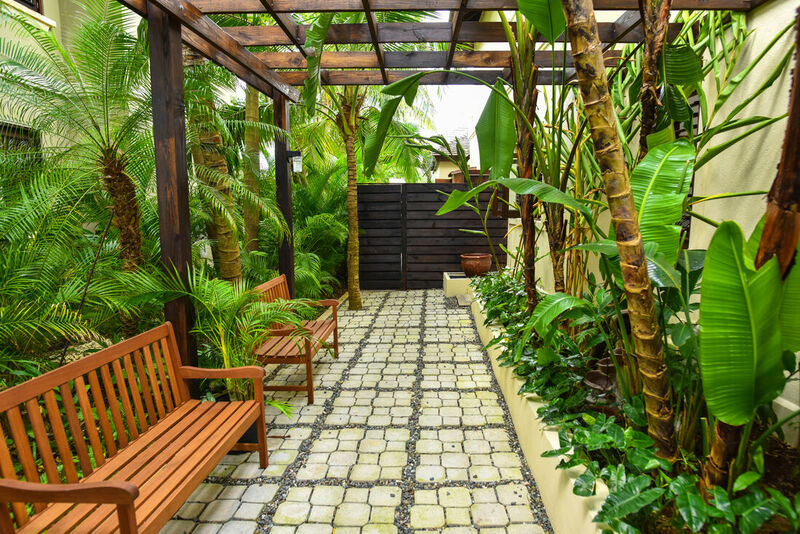 All the bathrooms have marble, granite or natural stone finishing and walk-in showers. 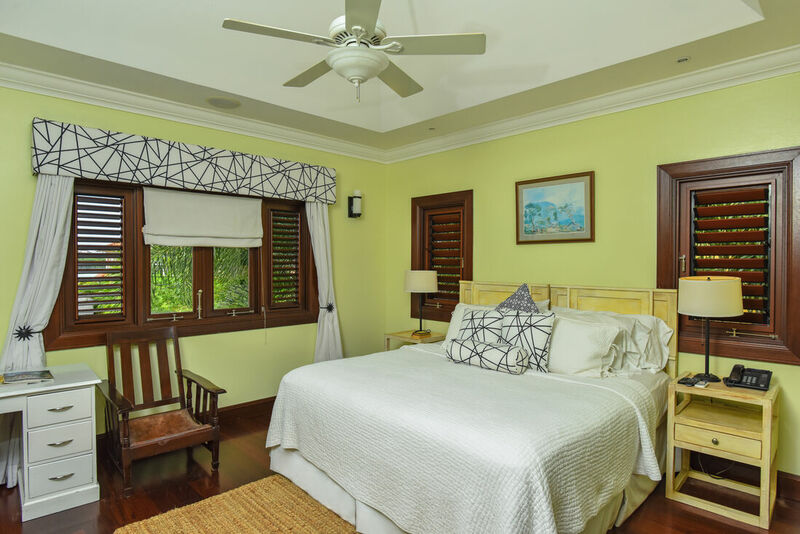 The master suite is the most luxuriant, with a classy marble tiled bathroom, 8 feet wide shower, a skylight, a spa-like tub and a wall-mounted flat-screen television for the perfect soak. 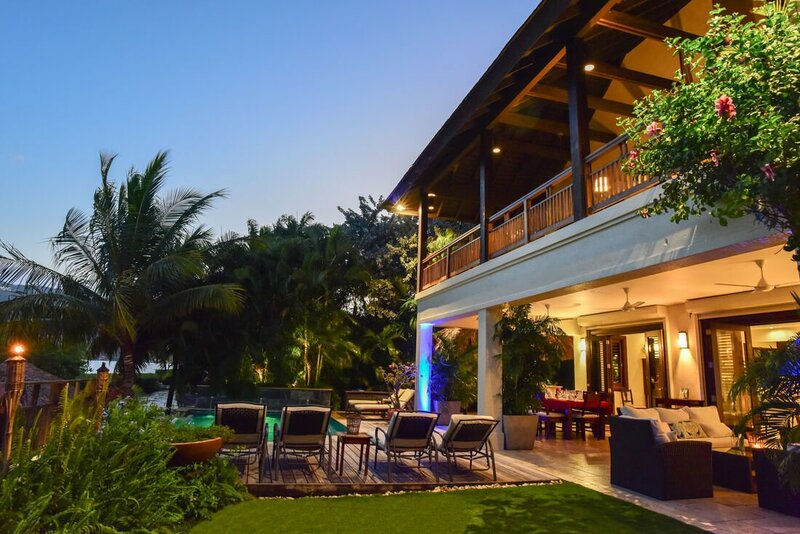 The spacious patio is connected to the master suite for a glimpse of the perfect sunrise early in the morning, or for an ideal evening view of the birds in Montego Bay’s Marine Park lagoon, with the city’s lights in the background. 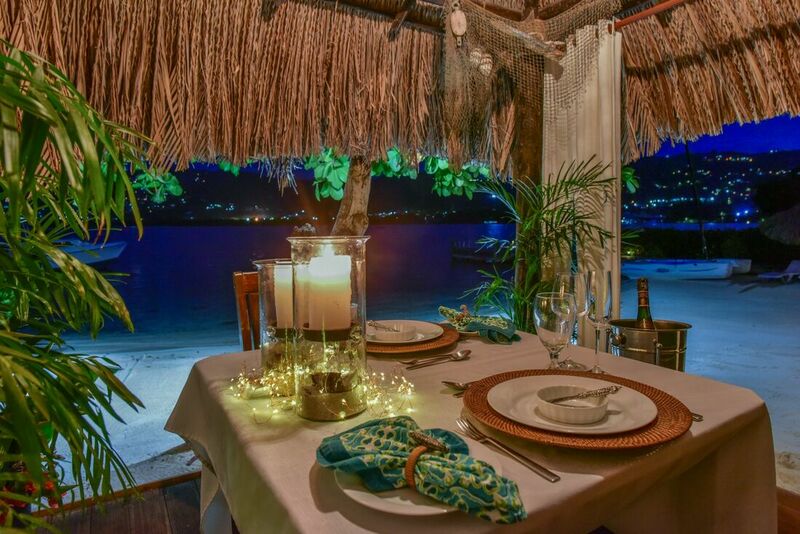 A romantic candlelight dinner on the beach, with tiki torches all around, and a unique ocean fire-pit for the grilled meal will present a memorable experience. 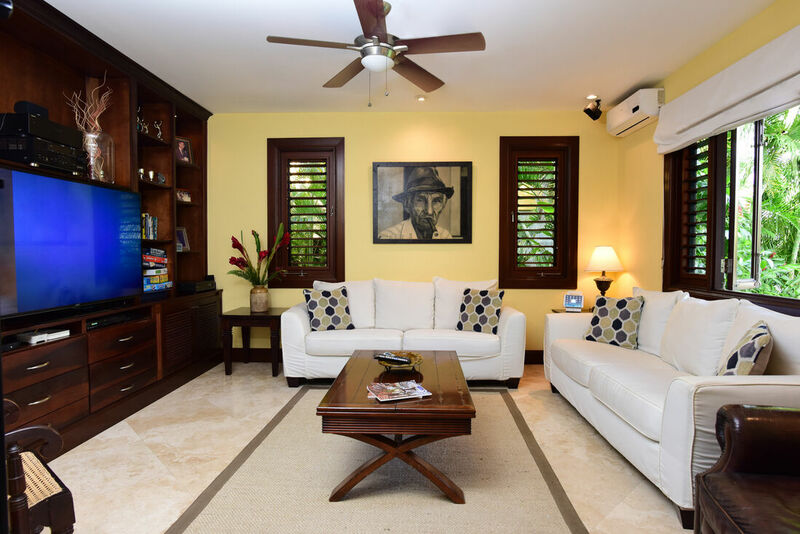 The family room is air-conditioned; with a 47’ flat screen television and BOSE surround sound. The restaurant standard kitchen provides extraordinary meals. 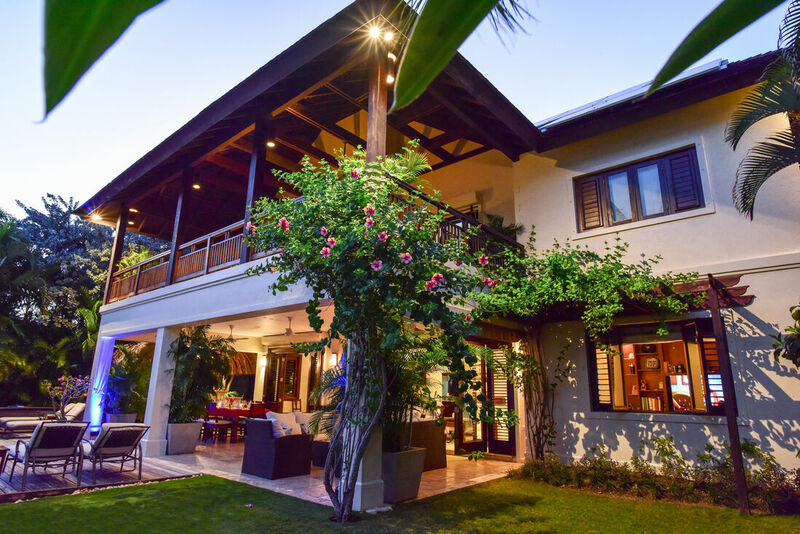 The villa comes with a full-time cook, a personal butler, a gardener and a housekeeper, to make the holiday a perfect one. 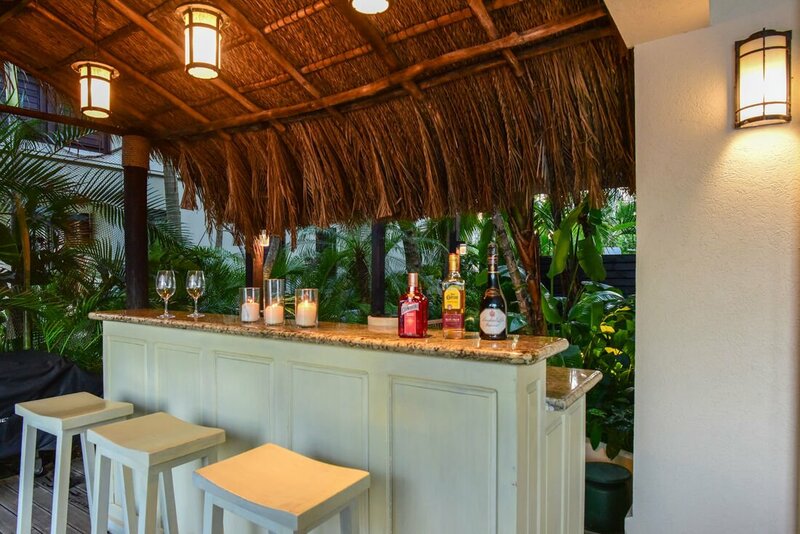 The private beach cabana provides a relaxing experience, as does the new outdoor tiki bar next to the pool. 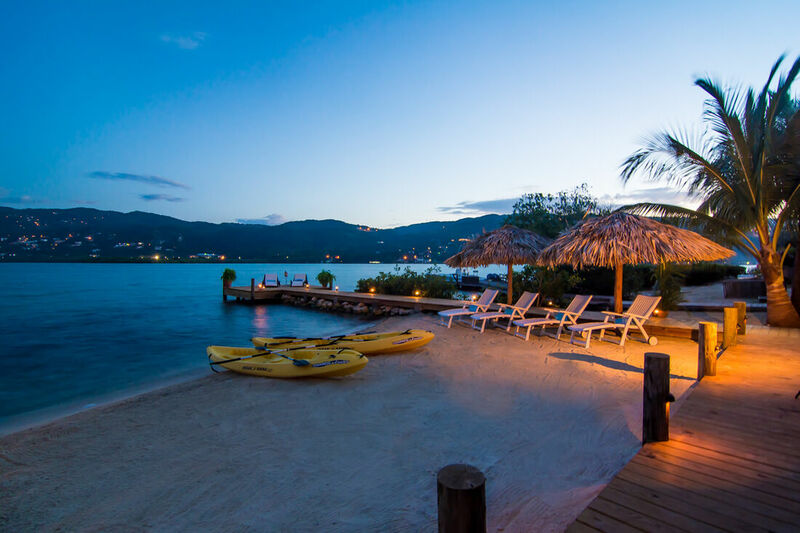 The world renowned Doctor’s Cave Beach is located nearby on the Hip Strip, where visitors can enjoy the delectable cuisine offered by several restaurants or drinks at the many bars, such as Bobsled Café and Margaritaville. 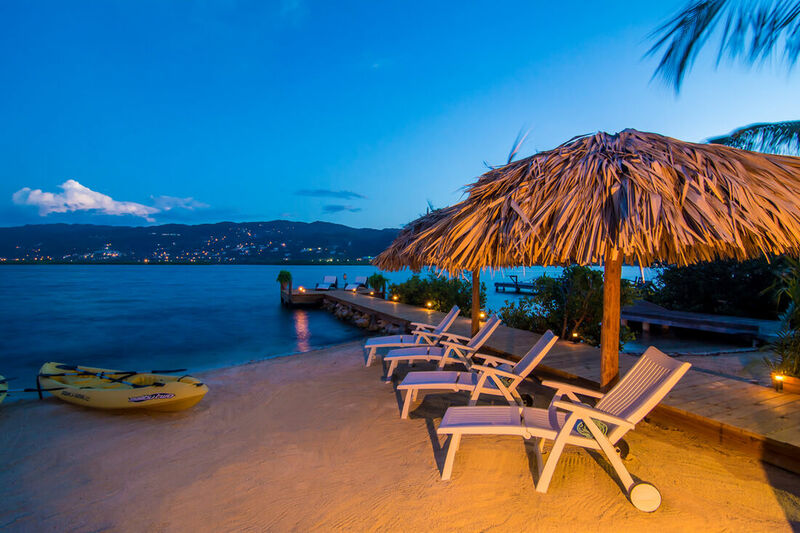 Seawind Beach Club, Montego Bay Yacht Club and the charming Houseboat restaurant are all at a few minutes’ drive away from this Beach Villa in Montego Bay. 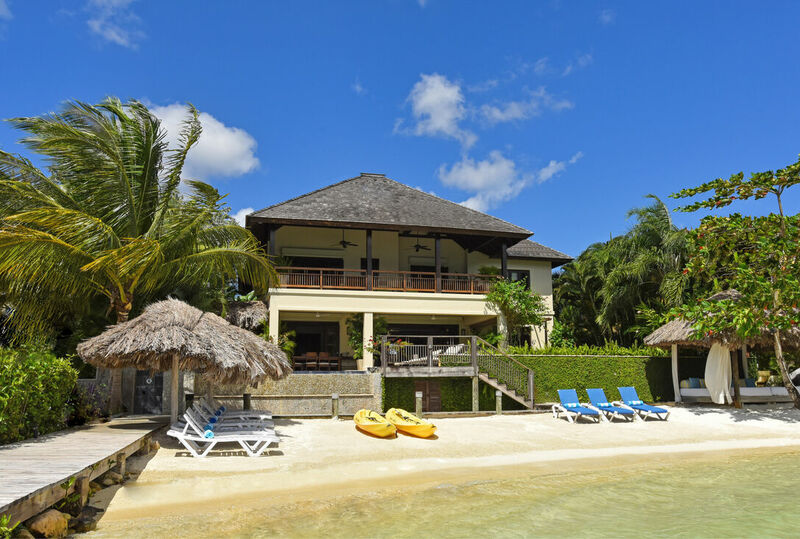 The central location of the villa in Montego Bay makes it very special among the luxury villas Jamaica. 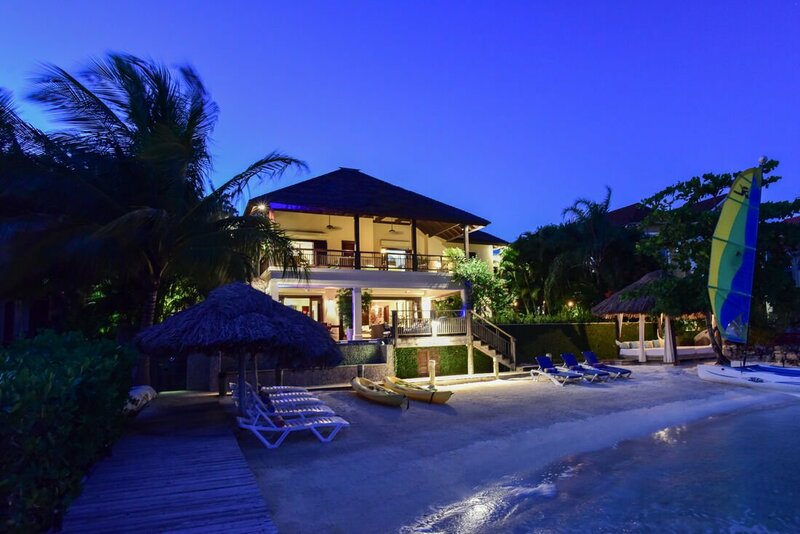 This Beach Villa in Montego Bay provides options for day trips to Negril Water park, Rick’s Café, Mystic Mountain, the famous Dunn’s River Falls or for a visit to the Dolphins in Ocho Rio. 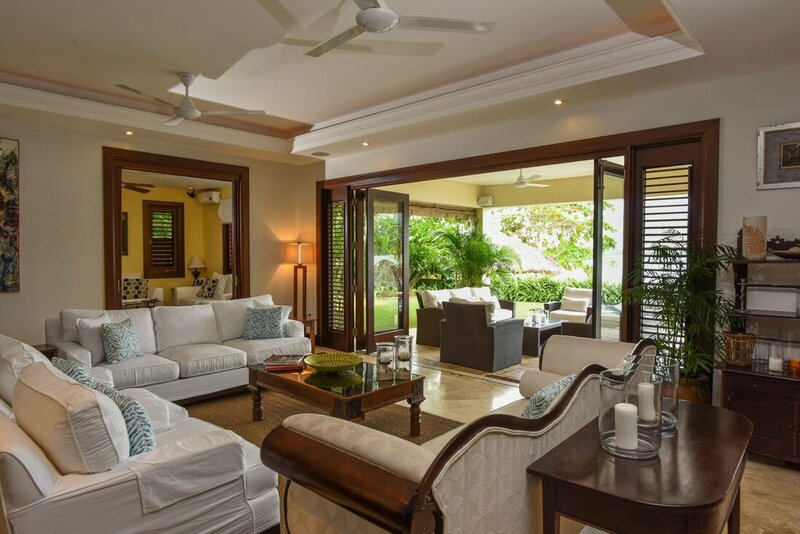 Three important golf courses are also within minutes of This Beach Villa in Montego Bay, namely Cinnamon Hill, Tryall and White Witch. All three upstairs bedrooms open to a central hallway so parents and children have easy access to each other. 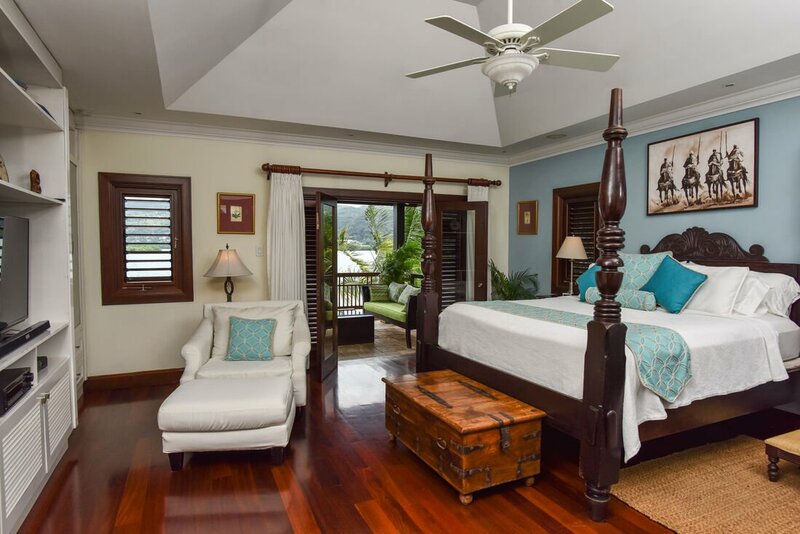 King-size bed, 32" television, large en-suite bathroom with glass-door walk-in shower and deep-soaking tub. 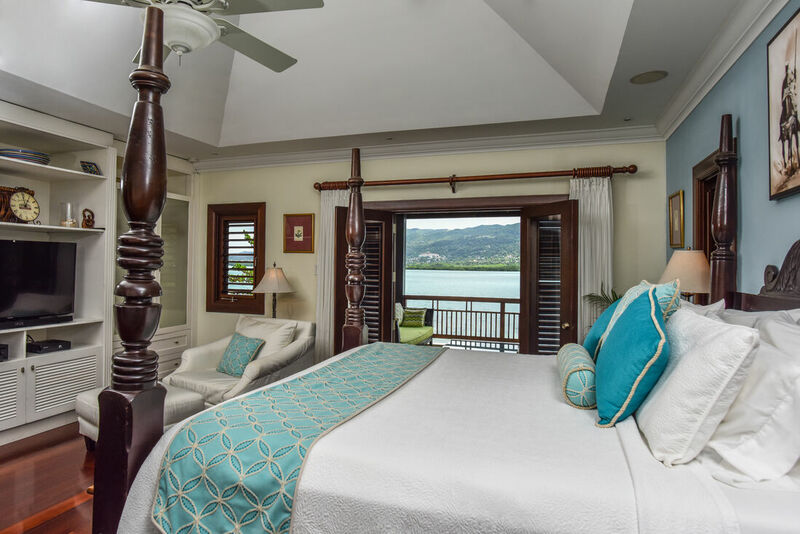 Suite opens to private balcony overlooking the lagoon. King-size bed, 37" LCD television, en-suite bathroom with shower. Optional king-size or twin beds and en-suite bathroom, 37" LCD television, large walk-in closet and walk-in shower. Queen-size bed, television, en-suite bathroom with walk-in shower. 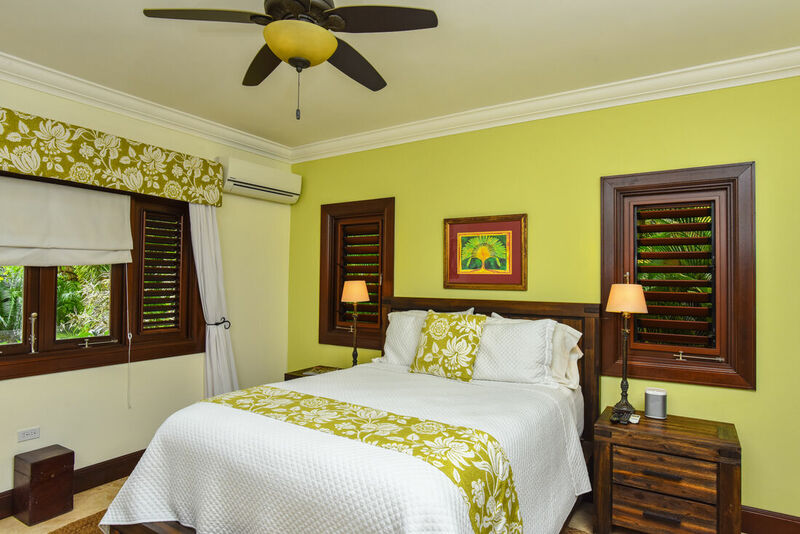 All bedrooms feature state-of-the-art quiet remote control air conditioning. 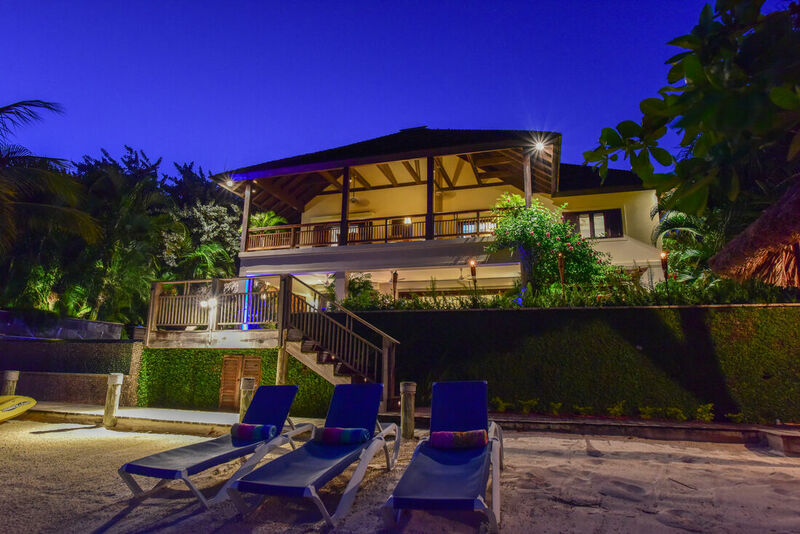 Extra person charge is $50 per person per night above 8 persons. IF YOU NEED A DRIVER, THIS OWNER ONLY ACCEPTS BOOKINGS WITH THEIR DRIVER: MR RAYMOND COPELAND. Please inquire for his rates. All bathrooms which are finished in natural stone, marble or granite have walk in showers. Relax in the large master suite complete with a luxurious marble tiled bathroom with 8ft wide shower enclosure and spa-like soaking tub while watching your favorite movie on a wall mounted flat screen television. 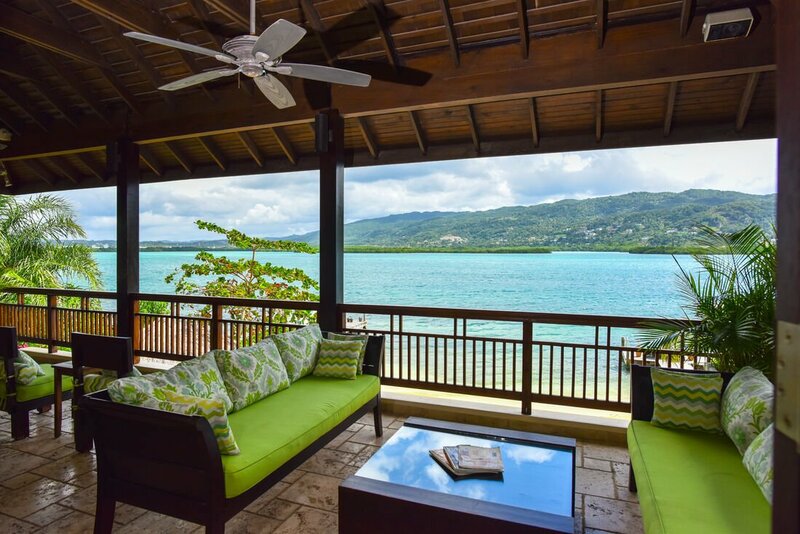 This suite opens unto a spacious upstairs patio where one can enjoy the breathtaking sunrise in the morning or have afternoon tea and wind-down to the view of the Montego Bay marine park's lagoon with city lights as a backdrop. 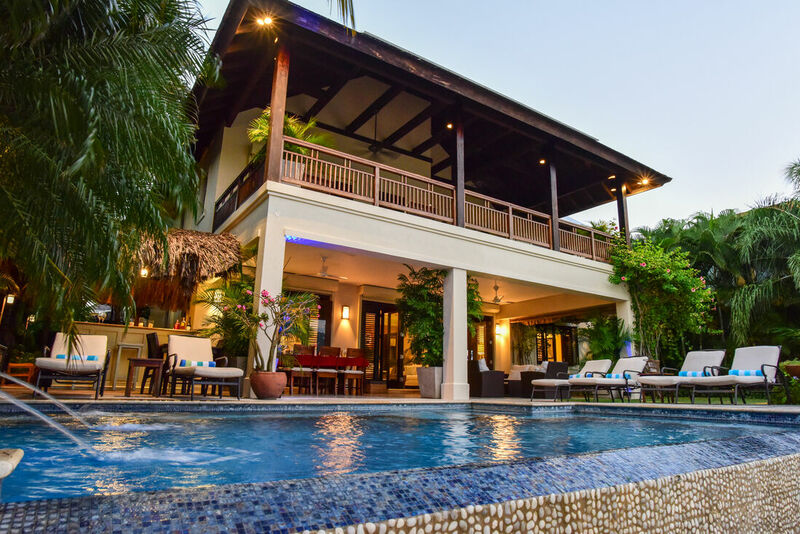 Other amenities for your exclusive use include snorkeling equipment, computer, wireless internet, built-in stereo, DVDs, CDs, and board games. 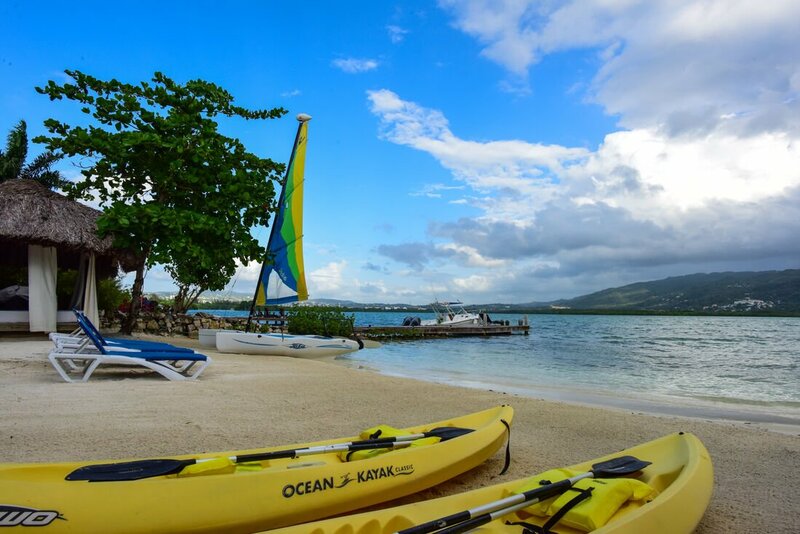 The owner has just added a 13ft Hobie Cat sailboat (waiver must be signed on island to use the Hobie Cat)! 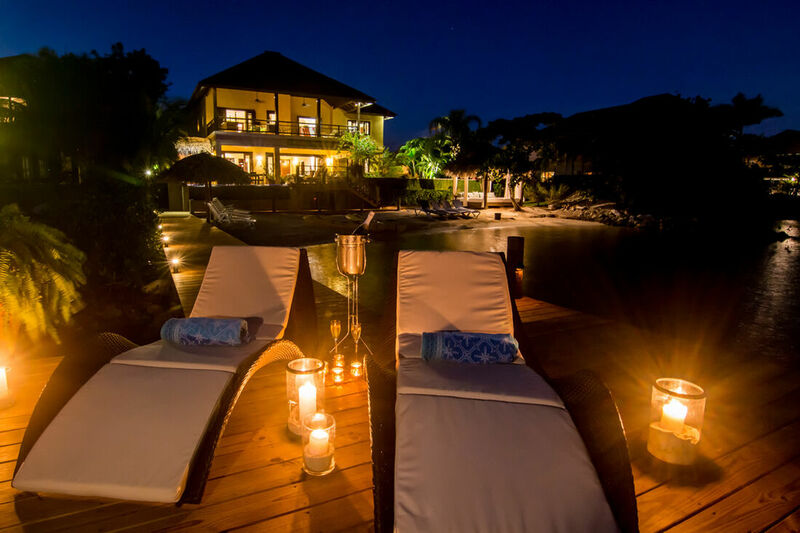 Beach party night at the villa!!! 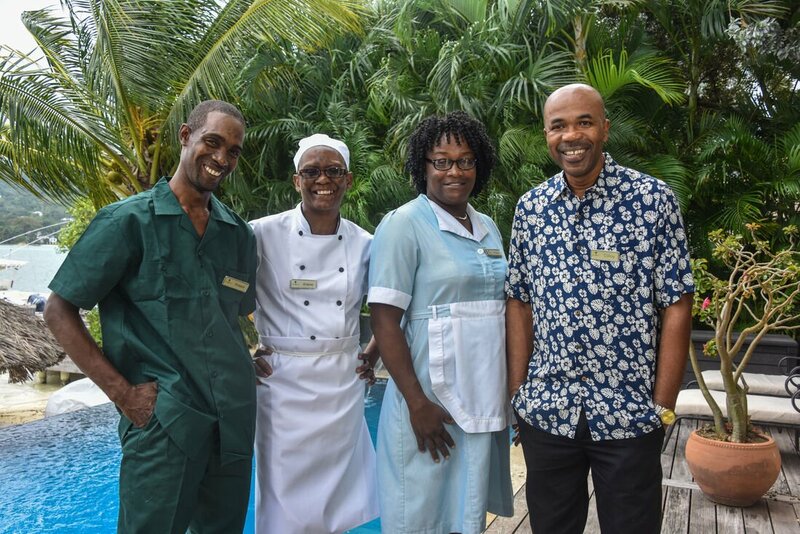 Enjoy dinner on your own beachfront property, your staff is ready to serve you! 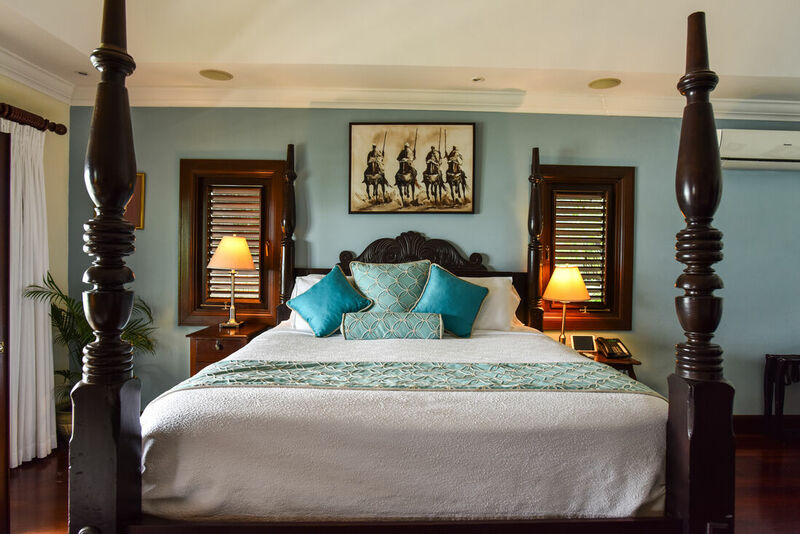 King size beds (2) Four poster carved antique bed with plush-top mattress in the master bedroom. SPECIAL OFFER FOR LOWER RATES!!! 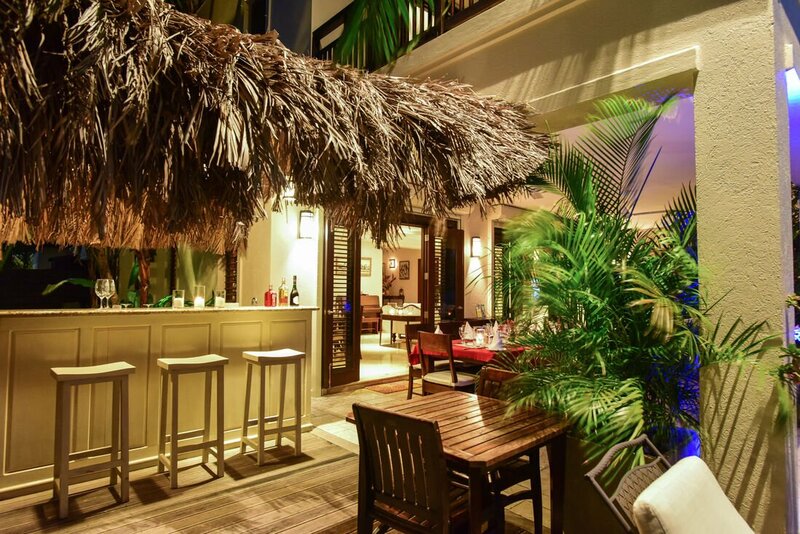 NOTE: this rate is NON-REFUNDABLE, does not include tax or gratuities and has to be paid in full upon booking. 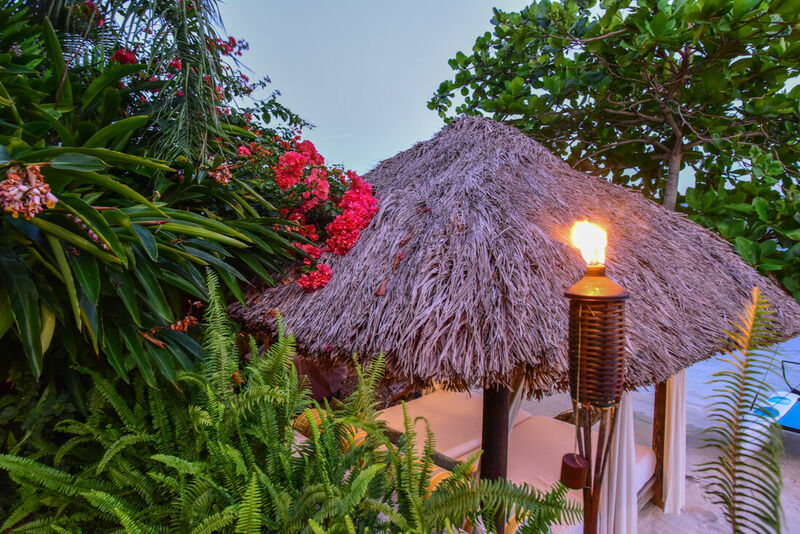 Discount only applicable to bookings of seven (7) nights or more. Applicable for bookings 180 days and more before arrival. Booking between 0 to 180 days, regular rates apply.